When he doesn’t cooperate, he’s sold into slavery. A sniveling weakling, he won’t last long at the oars. Or will he? Does Abramm find enough courage to persevere and even prevail? And how about his twin sister Carissa, trying to find and rescue him? Is there any hope for her quest? 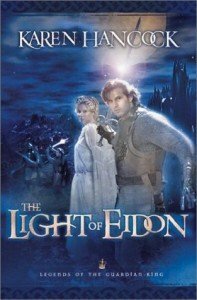 I found this book to be full of great characters, broad conflicts, very evil bad guys, and the light of the Lord (Eidon). It’s a great read for lovers of Christian fantasy. Plus, it’s free as an ebook on Kindle. And it’s the first of a series, so there’s more!